The geometry of the plastic sheets and placement of the holes interact with sound waves to make it (and objects beneath it) appear as if they are not there. 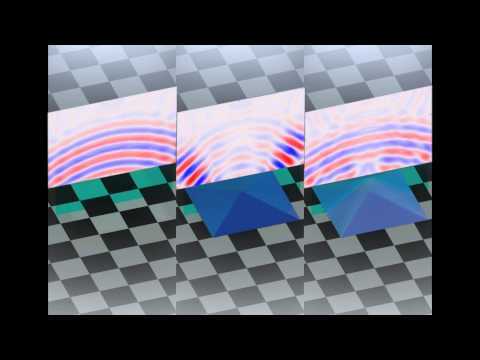 The acoustic cloaking device works in three dimensions, no matter which direction the sound is coming from or where the observer is located, and holds potential for future applications such as sonar avoidance and architectural acoustics. To achieve this trick, Duke University professor of electrical and computer engineering Steven Cummer and his colleagues used metamaterials — the combination of natural materials in repeating patterns — to achieve unnatural properties. The device looks like several plastic plates with a repeating pattern of holes poked through them stacked on top of one another to form a sort of pyramid. This research was supported by Multidisciplinary University Research Initiative grants from the Office of Naval Research and from the Army Research Office.